One of the wonderful things about following the Camino de Santiago (the Chemin de Saint Jacques) across France is that almost all of the churches and chapels are open, all the time. In Spain, to my disappointment, most of the churches were locked, or charged entrance fees. 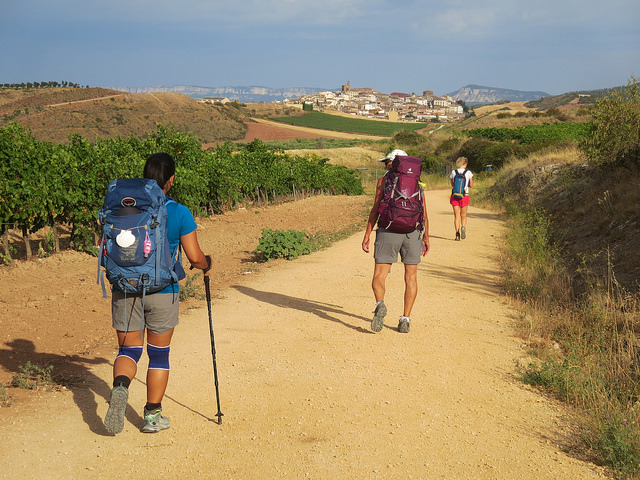 The logical part of me understands; with a ten-fold or more flow of pilgrims, and a tough economy, the upkeep and maintenance of an open chapel along the Camino Frances would be much harder than along the Via Podiensis. But still, these are sacred spaces specifically built for pilgrims, and it’s rather un-church-like to charge admission. However, that’s not the point here. If you venture into the churches and cathedrals of the Camino, you’ll notice a lot of saints. They’re depicted in the windows, on the walls, and tucked into every spare corner. These men-and a surprising number of women-were the object lessons and moral guides of an earlier, pre-literate time. You may notice that a particular saint shows up often among the statues and the paintings. He’s dressed as a pilgrim, with a cloak and a floppy hat and often even the scallop shell of Saint James. But he’s not Saint James. You can tell because this particular saint is always standing a certain way. “Why is he showing so much leg?” I asked Eric, early in our adventure. Because no matter how simple or elaborate his presentation, Saint Roch is always, always hiking up his robe and showing off his (usually well-muscled) thigh. The patron saint of burlesque, maybe? Saint Roch was probably a French noble in the early fourteenth century. The legends say that he was marked from birth by a red cross on his chest, a sign of his piety even as a small child. When he was twenty, both his parents died, and Roch gave up his inheritance and his position in the community, sold all of his possessions, and set out on a pilgrimage to Rome. (hence his pilgrim garb) This being the Middle Ages, there were plagues and mysterious illnesses afflicting many of the towns along the way. Roch stopped often and cared for the sick and dying in Italy, often healing them miraculously either by touch or the sign of the cross. Miraculously cured, Roch returned to France, where he was arrested by his uncle, who did not recognize him and accused him of being a spy. Roch did not reveal his true identity, because he did not want to glorify himself or draw attention to himself. He died, still in prison, five years later. I loved Saint Roch, and the quirky, illogical flow of his story. I looked for him everywhere we went. And he really was everywhere; Saint Roch is a favorite saint of pilgrims. Perhaps for this reason, or because of the floppy hat and walking stick, many people consider Saint Roch as the patron saint of pilgrims, although the reliable Church sources give that distinction to Saint James himself. 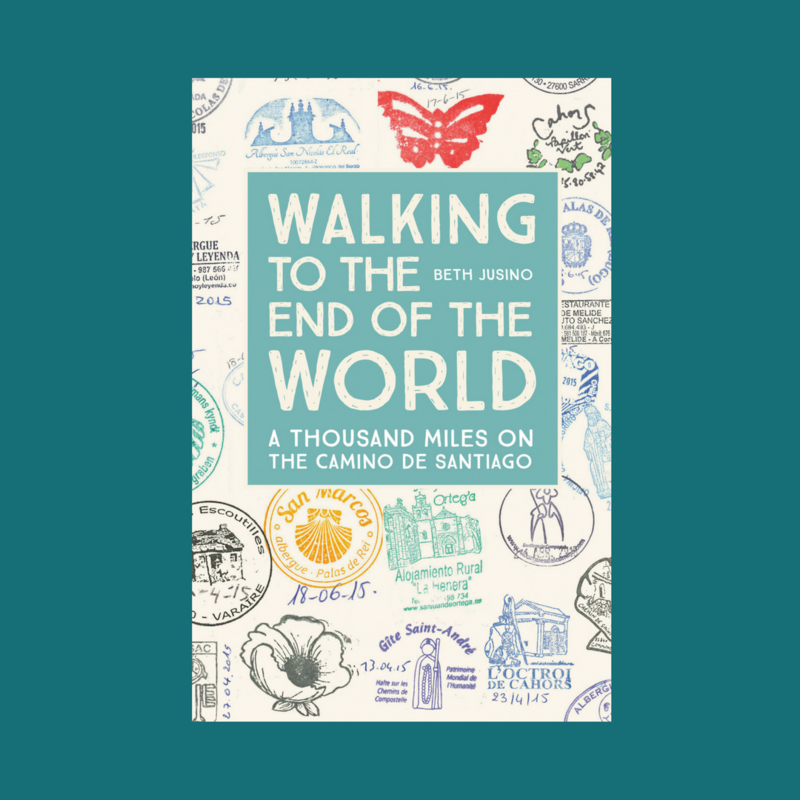 Saint Roch is definitely a guy to keep around on your Camino, though, as the patron saint not only of dogs (of course), but also of knee problems. So think of him every time you’re descending into one of those steep French valleys. Or stop in one of his chapels and just admire that problem-free knee. Great post! I have to go here! Buen Camino, Jenny! Keep an eye out for that flash of leg. I saw him mostly in France, but also in plenty of Spanish cathedrals.